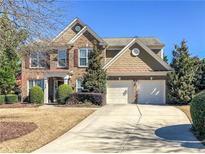 Below you can view all the homes for sale in the Glen At Nichols Landing subdivision located in Suwanee Georgia. 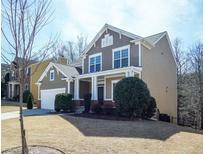 Listings in Glen At Nichols Landing are updated daily from data we receive from the Atlanta multiple listing service. To learn more about any of these homes or to receive custom notifications when a new property is listed for sale in Glen At Nichols Landing, give us a call at 404-998-4162. Formal Living Room And Dr, 2-Story Great Room, Professional Landscaping, And So Much More! MLS#6528577. Palmerhouse Properties. Easy Access To 400. Sought After Lambert High! MLS#6527257. Keller Williams Realty Atlanta Partners. Private And Wooded Backyard With Walking Distance To The Neighborhood Pool, Tennis Courts, And Basketball Court. MLS#6521348. Realty One Group Edge.